In 1932 fifty-two writers, including Sherwood Anderson and Edmund Wilson, publicly backed the Communist Presidential ticket. This was the ‘The Red Decade’, a period when writers became enmeshed in politics, usually of the liberal and leftist variety. In general, the radical creative works of the era were marked by a code of social realism and social protest, often coupled to representations of ‘proletarian’ life and a fascination with vernacular speech (the climactic work in this protest tradition was, of course, John Steinbeck’s The Grapes of Wrath in 1939). However, I want in this chapter to suggest a more capacious and fluid reading of the political fictions of the late 1920s and 1930s. 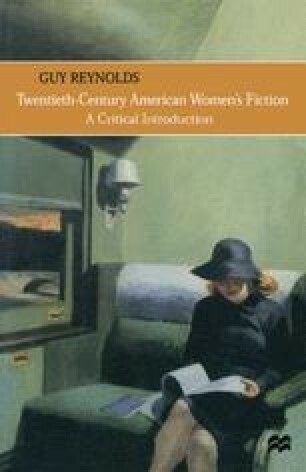 Two female literary histories of this time are now familiar to us: the upsurge of polemical, committed writing (Meridel Le Sueur, Agnes Smedley and Tillie Olsen); and the emergence of black female modernism in the work of Zora Neale Hurston, Jessie Fauset and Nella Larsen. This chapter suggests that these two bodies of work might be thought of in conjunction. The white leftists and the black modernists shared a commitment to a form of social problem novel. They identified a nexus of social or political problems, and then created around those issues (often identified explicitly as issues) new fictional shapes, or gave voice to the problem in an innovative, experimental register.